Note: Strictly limited numbers. The workshop is open to boys and girls who are between 5-12yrs old. We run different activities on day 1 and day 2 – Book into both days or just the day which suits. Are you curious about how stuff works? Keen to explore sensational science and rad robotics while putting your problem-solving and technology skills to the test? Then this hands-on two-day workshop is for you! 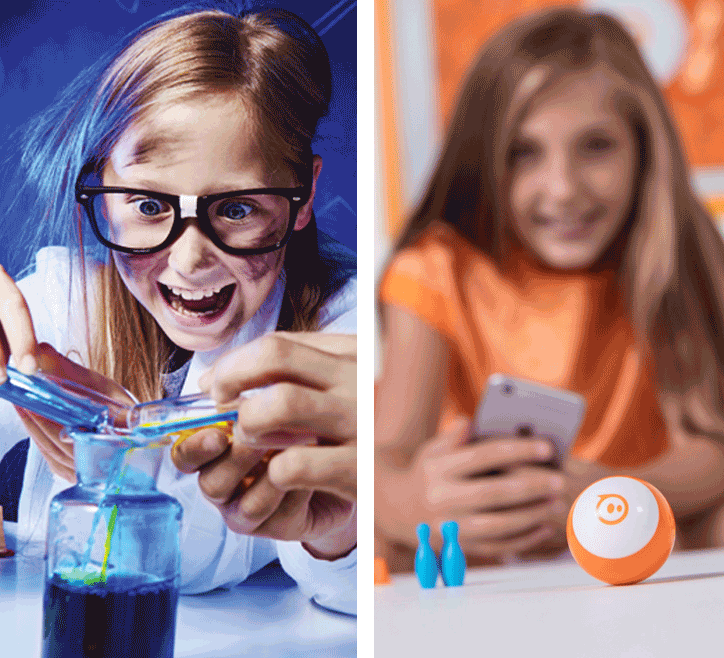 Featuring favourite experiments such as “slime” and “the volcano”, our Science segment is an awesome practical exploration of chemistry and physics! We’ll also try plenty of new experiments to extend your knowledge of how elements interact! As always, you’ll have samples to take home and show your family and friends. In our Technology component, participants will learn the foundations of java script and block coding as they program their Sphero robot to complete tasks, obstacle courses, and even a creative storytelling challenge starring their robot as the leading character! Working in teams to solve problems, negotiate challenges, and compete in a fun and friendly environment, this workshop is an exciting and valuable experience for all ages as we celebrate each child’s unique gifts. 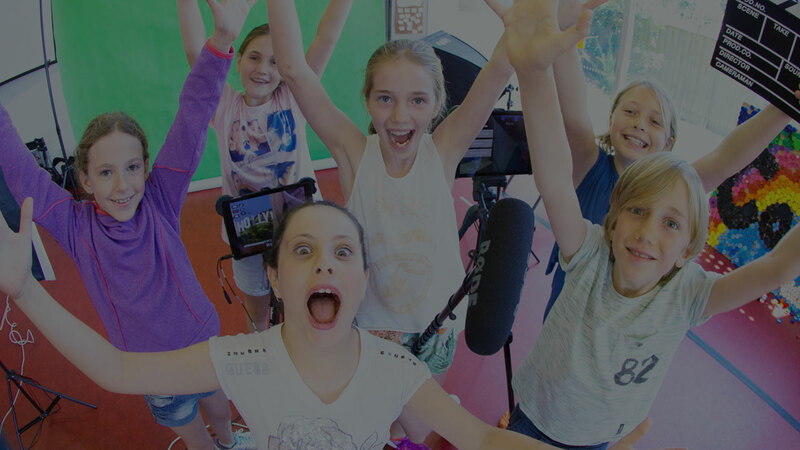 StarTime’s program fosters children’s potential as the Creative Leaders of the future. Our program is tailored to offer appropriate challenges for the age and ability of each child. What does my child need to bring to the workshop? There is no need to bring devices or other equipment with you StarTime will provide what’s necessary for the workshop. If your child is staying on premise with our StarTime Coaches then you may like to pack a book or device for their down time. The StarTime Coaches will co-ordinate quiet activities for them to do during the break. Do I pack food and drink for my child? Yes, please pack enough snacks, lunch and drink for the whole day. There are breaks throughout the day. We ask that you do not pack sugary food, particularly no soft drinks. StarTime also enforces a ‘NO NUTS’ policy and there is to be no sharing of food. NOTE: Many parents choose to take advantage of having their children conveniently nearby and arrange to take their child out for lunch during the designated lunch hour, 12.30 – 1.30pm. Please ensure you sign your child out and back in again. The children are split into groups, with a teacher to child ratio of 1:10. My child is almost 5 years old can we still enrol? If you feel your child is capable of actively participating in activities over the length of a day (9.00-5.00, with regular breaks) then potentially this workshop will be suitable. However, we need parents to understand that our coaches will call you to pick up your if they are struggling to keep up, or taking extra teachers to keep them on task. We would recommend just booking into the first day to see how your child goes, as that day the junior students will be engaged in science activities which is probably the easier of the two focused activities. Our mission is to develop more empathetic human beings. We do this by underpinning our workshops with the values of; courage, commitment, collaboration and communication… and during our workshops we celebrate each time a child displays these values. The program content is focused on developing fundamental 21st Century skills which are essential skills to “help them shine” in today’s connected world.